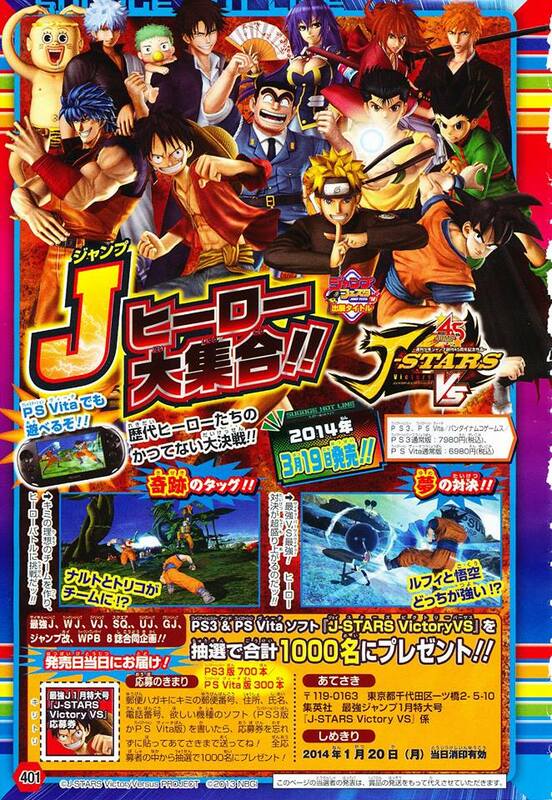 Not much is shown this week in the J-Stars Victory Vs. Saikyou Jump – January 2014 Scan other than two pictures in the bottom of Goku preparing a Kamehameha and Naruto, Toriko and Goku battling it out. This game looks so cool.Why don’t I have a PS3 ? Oh, and i have one question:Are you going to do more “One Piece Unlimited World Red” videos ? I hope the roster for this game will be humongous, so damn many I wish to see in it. It says 2014-1-20 does it mean a demo? !